The surprise announcement by George Osborne in his Summer Budget in July was his reform of the taxation of dividends that is scheduled to come into effect from 5 April 2016.
Dividend Tax Credit – The dividend tax credit will be abolished so dividend income will no longer be grossed up in your personal tax computation. Dividend Tax Allowance – There will be a new dividend tax allowance meaning that no income tax will be suffered on your first £5,000 of dividend income. This new allowance does not reduce total taxable income and thus does use up the basic rate band for dividend income only. Dividend Rates – All dividend income over and above the dividend tax allowance will now be taxed at 7.5% in the basic rate band, 32.5% in the higher rate band and 38.1% in the additional rate band. 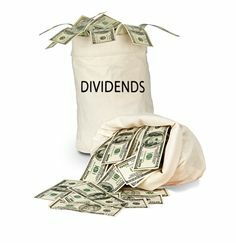 Determining which band the income sits in has remained unchanged with dividend income still being stacked after non-savings then savings income. Personal Allowance Abatement – As the dividend tax allowance does not reduce your taxable income, all your dividend income will be included when determining whether or not your income exceeds £100,000 for the purpose of calculating your personal allowance abatement. However, as dividend income is no longer being grossed up, taxpayers earning close to that £100,000 threshold will benefit from a smaller personal allowance abatement. Basic Rate Taxpayers – If their dividend income exceeds the £5,000 dividend tax allowance then they will be worse off under these new rules as no tax is due for basic rate taxpayers under the current regime. Higher Rate Taxpayers – If their dividend income is below £21,667, higher rate taxpayers will benefit both from their dividend income no longer being grossed up and also from the new dividend tax allowance and will consequently pay less tax. They will however lose out if their dividend income exceeds this threshold. Additional Rate Taxpayers – The same applies to additional rate taxpayers but the threshold above which they pay more tax under the new rules is £25,400. Incorporated Small Business Owners – The situation is different for small business owners who, compared to the investors discussed above, draw the majority of their income (usually everything over the £8,060 National Insurance limit) in dividends rather than salary. Although there are plenty of variables, those in this situation will generally be left worse off by these rule changes. All other factors aside, this may reduce the incentive for small business owners to incorporate. More immediately, these rule changes need to be considered when determining the amount of dividends to be drawn by such small business owners before these changes come into place. What are the future changes to consider? Reduction in Corporation Tax – In his speech, George Osborne stated that these changes were a precursor to a reduction in corporation tax in 2017. This will alleviate the adverse impact of these dividend tax rule changes on incorporated small business owners and, in some cases, will leave them only fractionally worse off than under the current 2015/16 regime. Increase in Class 4 NICs – Mr Osborne has also promised a restructuring and likely increase of Class 4 National Insurance Contributions. Should this occur, it will be another factor to consider whether or not it is beneficial for small business owners to incorporate.